Outlander is Diana Gabaldon’s beloved fantasy and historical fiction book series and a TV show on STARZ. Claire starts out with a look at early historical fictions, what defines the genre, and how it became known as “feminine”. 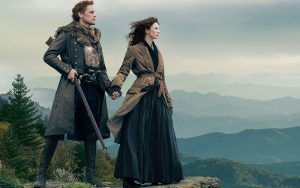 Kyle jumps into Diana Gabaldon’s process, how she came to write some of the most successful historical fiction novels ever, and why show runner, Ronald Moore decided to adapt the series for television. The duo wraps up the episode with their thoughts on the first book, the success of an oft maligned genre, Outlander’s connections to C.L. Moore’s Jirel of Joiry and the legacy of women writing women for women.